Fastener quality control incorporates specifying, testing, and evaluating the material, dimensional, mechanical, and metallurgical properties of the various forms of fasteners. These fasteners are used to mechanically join or attach hardware objects together, and come in many forms which include rivets, nuts, bolts, studs, screws, washers, eyebolts, nails, and threaded fasteners. Fasteners and systems need to be assessed to ensure quality of order that safe and productive utilization is achieved. A Quality Management System is a management auditing system of all of the functions within the company to promote an improving quality control of the fasteners and distribution services. In order to supply fastenings into many industries, it is necessary to have a recognised quality system and a certified approval. ISO 9001: Primarily for fastener distributors, also for fastener manufacturers. Companies prefer to buy fasteners from suppliers that are qualified to a recognised QMS standard; because it gives them a level of assurance in the quality of the fastener product and the service and supply. The sample cast or Heat (ladle) composition analysis certificate gives a breakdown of the elements and their percentages in the sample of steel; a copy of this certificate can be supplied by the manufacturer. 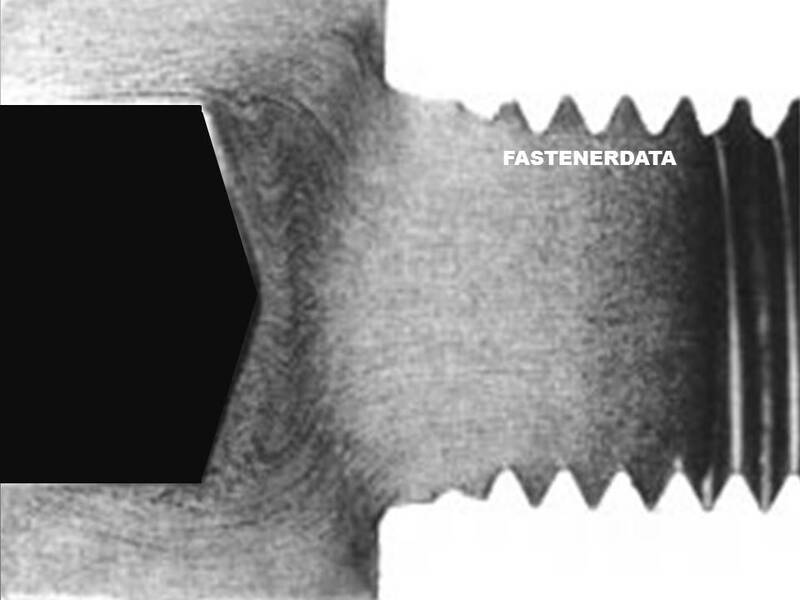 At certain points in the fastener manufacturing process, in more critical applications the finished fastener can undergo Spectrographic analysis to determine the element proportions in the finished fastener product. During the fastener manufacturing process or heat treatment, samples may be taken for testing to ensure that the parts conform to the requirements of the product standard and that the correct class or grade have been achieved. The fastener may be sectioned and etched in order that the microstructure and other features can be observed. The surface metallurgy will ensure there are no folds or rolling laps in the grain structure of the sample. Mechanical Results are documented with the batch identification code this ensures the metallurgical condition is recorded in the event of an issue at a later date. Heat treated parts are usually mechanically tested, and this is generally done before finishing the fastener. Hardness tests are the most cost-effective and common mechanical tests on steel fasteners. The hardness value is related to the strength of the fastener and is a useful tool to determine strength. Indentation hardness measures the resistance of a fastener to material deformation due to a constant compression load from a sharp object; The tests work on the basic premise of measuring the critical dimensions of an indentation left by a specifically dimensioned and loaded indenter. Common indentation hardness scales are Rockwell Rc, Vickers HV and Brinell HB. Bolt or screw tensile test may be required and consist of destruction test process in which a sample bolt is clamped top and bottom in the tensile testing machine. The tensile machine applies an ever-increasing stretching load on the bolt until the bolt fails. The tensile test will produce data that determine the mechanical properties of the tested bolt material including tensile strength, yield strength and ductility and it is assumed that the batch of untested bolts will generally be within the same range. Bolts torque-tension test may be needed for automotive and construction applications. Tightening a bolt into a nut or threaded block and recording torque and clamp load, surface friction can be estimated and endure that the bolts will generate adequate clamp force when installed. During the production of fasteners the head, body and thread dimensions are checked at intervals at the forging and thread rolling stations; the important dimensions are recorded as part of a compliance recorded. Some fastener manufacturing equipment allows for the dimensions to be automatically recorded and additional automated inspection equipment can also automatically record dimensions and create a statistical process control chart (SPC) that gives assurance in the dimensional quality of the production run. Gauge types will vary from snap ‘go/no-go’ gauges for threads to micrometres and depth gauges.